For those interested in learning BJJ as a sport or as a ground defense system, come study from a BJJ National Champ and World Medalist who breaks down the fundamentals of Brazilian Jiu-Jitsu in such a way that you’ll learn effective techniques quickly and safely. 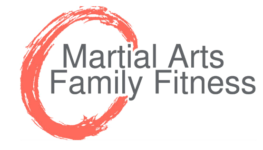 Dynamic Circle Hapkido is a traditional self-defense based martial art for both men and women who want to be stronger in mind, body, and spirit. Come and find out for yourself why we’ve consistently been voted “Best Martial Arts School” in Santa Barbara. Our Teens train alongside the Adults in class and so they get a chance to work with both their peers as well partners who are bigger than them. This self-defense based art is especially beneficial for those going into High School because it builds their identity and confidence in something that is positive. Martial Arts is also a great cross-training activity for teenage athletes, and builds leadership qualities. We have age-appropriate Martial Arts classes for children as young as 3 years old. Each class teaches self defense skills, improves balance, coordination, and strengthens the body, mind, and spirit.